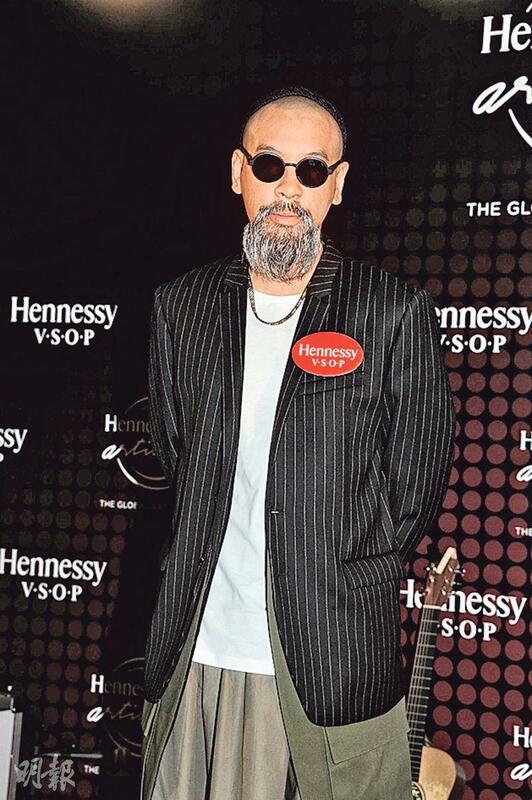 Hennessy Artistry 2015 will take place on November 13th at the AsiaWorld-Expo with creative singer Wanting Qu, Australian group The Veronicas, Australian singer Tim Omaji and Hong Kong's Juno Mak Chun Lung. Yesterday Juno, the event social media ambassador Adrian Wong Chi Ching and Hinry Lau Cheuk Hin attended the press conference. Juno's new record has had an ideal response. "Especially the special edition, which was all gone long ago." He also said he was preparing for his new film production, SONS OF THE NEON NIGHT (FUNG LAM SHAN FOR) next year. "The production has been confirmed to start after the Lunar New Year. Actually I have already finished another record at the same time. It will be released while I will work on the film next year. Most of the actors have been confirmed, but I can't reveal anyone yet." With the popularity of his song RASHOMON, he has received many suggestions for him to perform a concert. "It will have to wait until the film production is finished, at least in 2017. Some investors want to turn my RASHOMON into a film. I am very interested too. Let's see how (Kay) Tse On Kay and (Karen) Mok Man Wai feel about it. If they are OK I am OK."